Sri Lanka only came on our radar when we were booking our flight from India to Thailand. 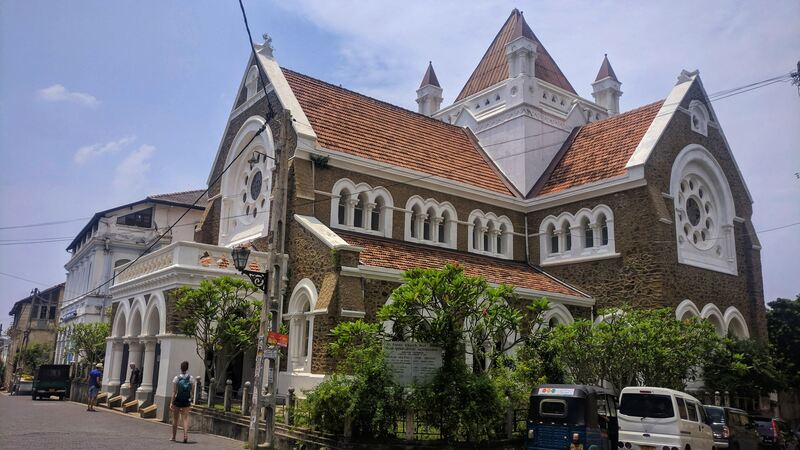 We would have to catch a connecting flight in Colombo, Sri Lanka’s capital anyway so we just decided to stretch the stopover to 10 days and see a bit of India’s teardrop. It’s a pity we didn’t research it a bit more before booking the tickets as we would have stayed a lot longer than 10 days! After a short flight we were on the ground again and walking through Colombo Airport in search of a booth to buy some local SIM cards and reconnect to the grid. Prior research told us that Dialog is the best network for 4G coverage, which is all we really cared about when it came to choosing a network. After that the next thing to do was find an ATM and withdraw some rupees. You know the way ATMs normally give you back your card before producing the cash? The one I used must have missed that day in ATM University, so I ended up leaving my travel card in the ATM and didn’t realise until several hours later when there was over 120 kilometres of highway between us. Good job I had opened an account with N26 before leaving. I literally just had to open their app on my phone and block all withdrawals and transactions with the tap of a button. If you’re in the EU you should definitely consider getting an N26 Black card if you are going to be abroad for a long time. It’s €5.90/month €9.90/month but you will make up that cost with fee-free payments and withdrawals and an Allianz insurance package! This is not an ad, it’s just really really good. 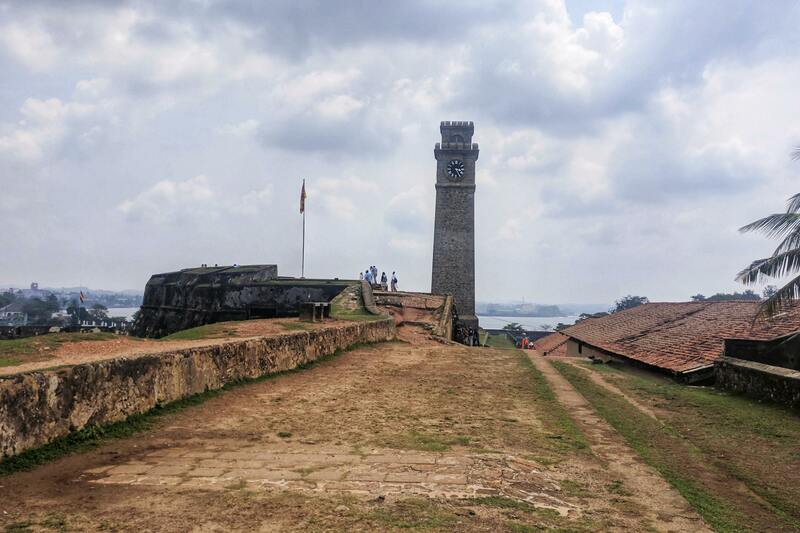 With only 10 days to see the country we decided not to stay in Colombo, instead heading straight from the airport to Unawatuna on the southwest coast. 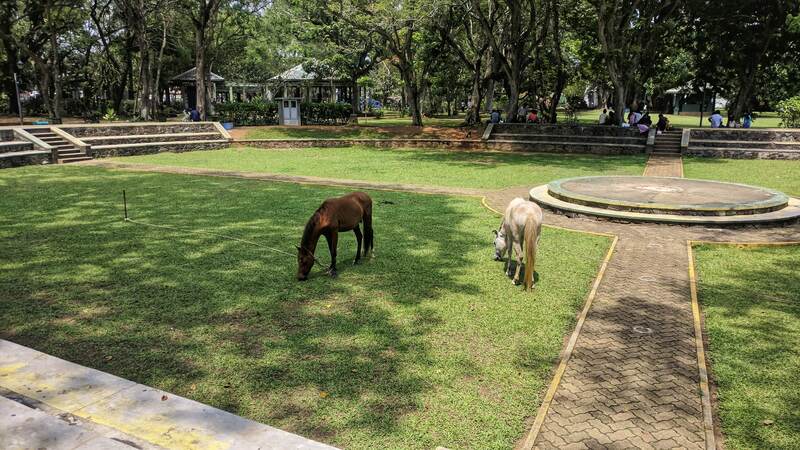 This may be a small town but it is one of Sri Lanka’s biggest tourist destinations, best known for its long and curving golden beach, shielded by palm trees, restaurants and resorts. 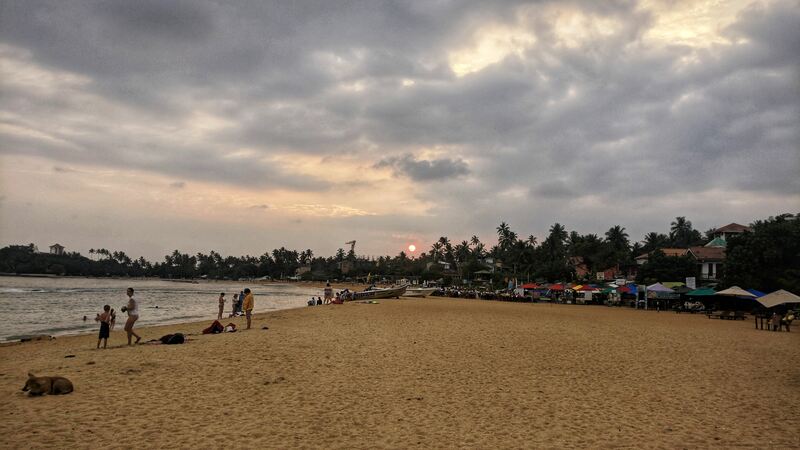 There were three feasible ways for us to get from the airport to our hostel in Unawatuna. If you want to take the bus here’s what you need to do. Bus No. 187 from the airport bus station to Colombo Fort. Buses run every 30 minutes between 05:30 and 18:30. The journey should take around 45 minutes, at a cost of Rs. 110 (€0.58). From here, take Bus No. 2 to Matara (getting off at Galle). Buses run every 30 minutes between 05:00 and 20:00. It should take around 3 hours. It costs Rs. 490 (€2.58) to Matara so it should be a little bit less to Galle. 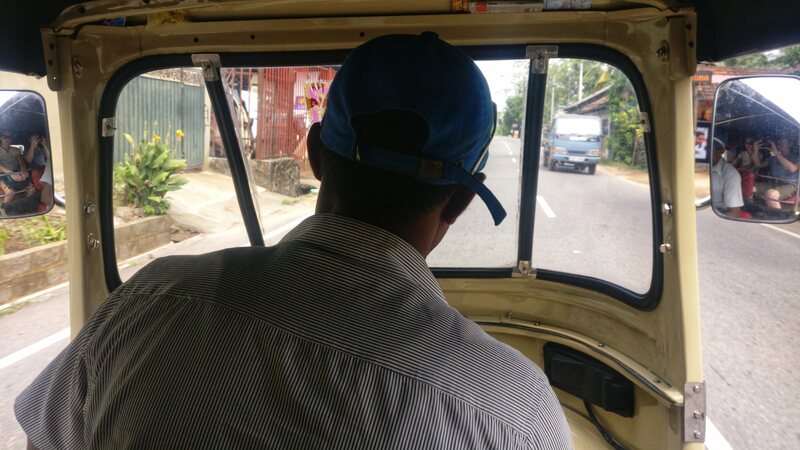 Get a tuk tuk from Galle to Unawatuna. This should take around 15 minutes. 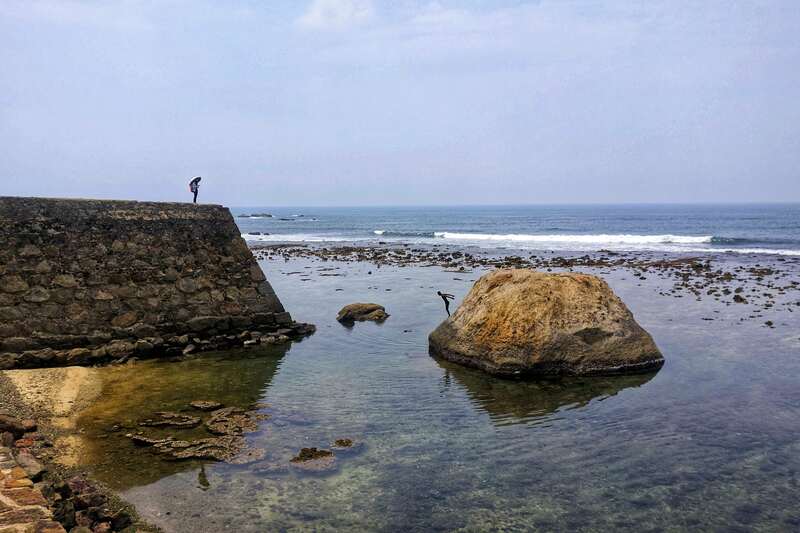 Get the train from Colombo Fort to Galle. There are 10 trains per day, from 06:55 to 19:30. The journey should take a little over 3 hours (but often more). A 3rd class ticket cost Rs. 100 (€0.53), and 2nd class tickets are Rs. 180 (€0.95). Full Schedule. Having just landed in the country we didn’t have a clue about what train or bus to take. We went to the tourist information desk in the airport and they recommended getting a private car with a driver. We decided to go with this as it was the easiest option. We were quoted Rs. 60,000 (€80) for the journey. 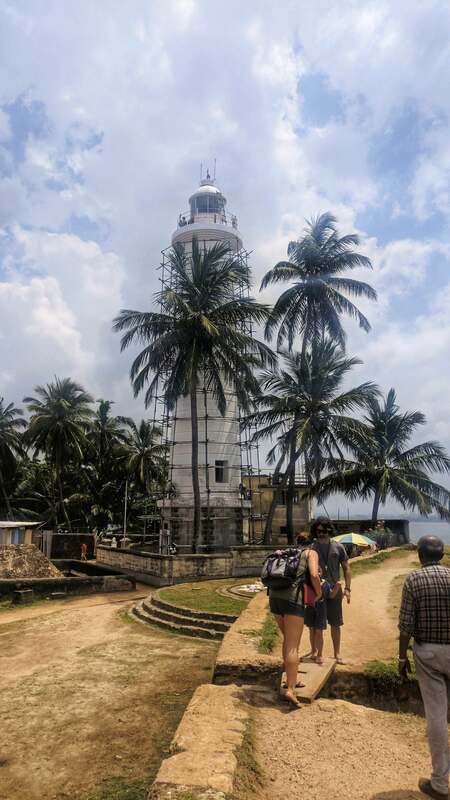 We were hesitant about parting with so much of our money until we met someone from our plane who was travelling a little bit further south along the same route to Mirissa so we split the fare three ways. We ended up paying Rs. 5,000 (€26) each…which wasn’t as bad, but it is still extremely expensive for Sri Lanka. The journey was great though, and somewhat worth the price for the comfort and convenience. It only took us about 2 hours and the driver brought us right to the door of our hostel! 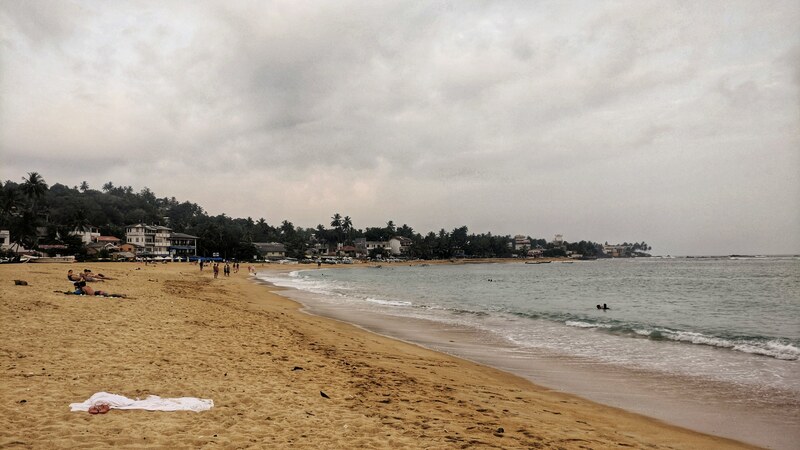 Once you get to Unawatuna you can easily walk everywhere. I would recommend staying near the beach though as you’ll never need to walk any longer than 10 minutes! Our hostel was about a 30 minute walk from the beach. Most of this walk is along the A2 Highway that connects Colombo to the south of the country. This is a really busy highway with huge lorries and buses thundering past at every hour - I wouldn’t advise walking on it at night as it’s a bit dangerous…though we did once. Ah the good ol’ trusty tuk tuk. Well, I wouldn’t go that far. Expect to pay Rs. 50-60 (€0.60) per kilometre in Unawatuna and most places in the country. Rarely will you find a metered taxi - it’s “broken”. Of course, they will try and charge you much more than this, but bargain, bargain hard. Walk away and they will drop their price, guaranteed. They’re sound though, just trying their luck. 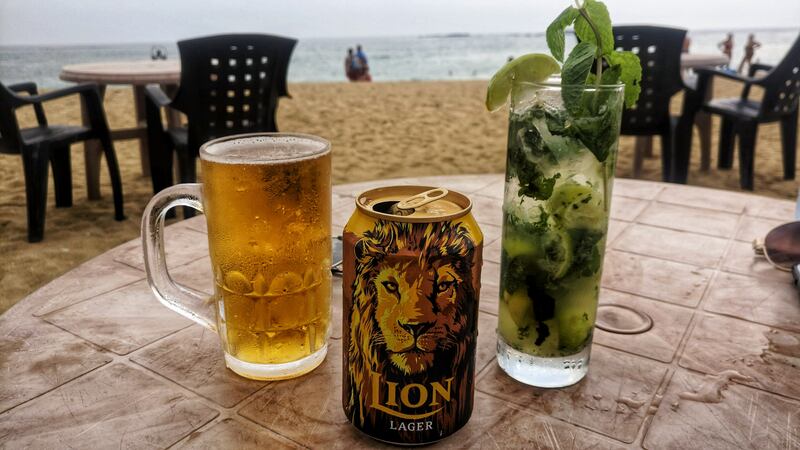 There is one place in Unawatuna you must try! I couldn’t find it online, it’s not on Google Maps and I don’t think it has a name. 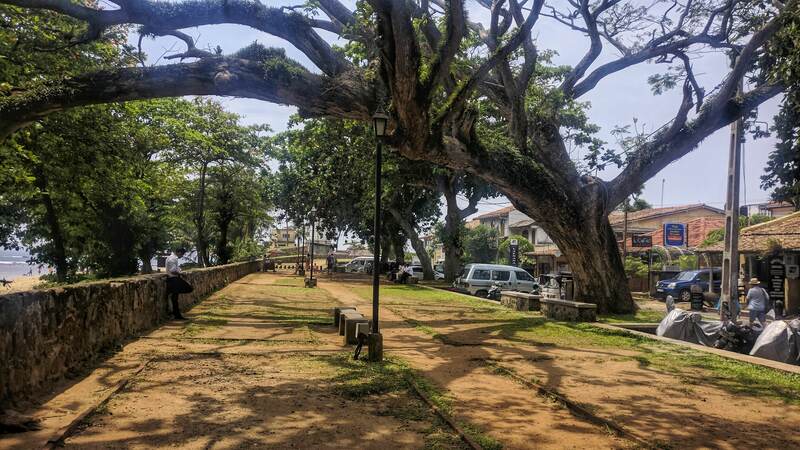 You can find it on Welle Dewayala road (the road connecting the highway to Unawatuna beach) on your right as you walk towards the beach. They have one dish and they make it well. 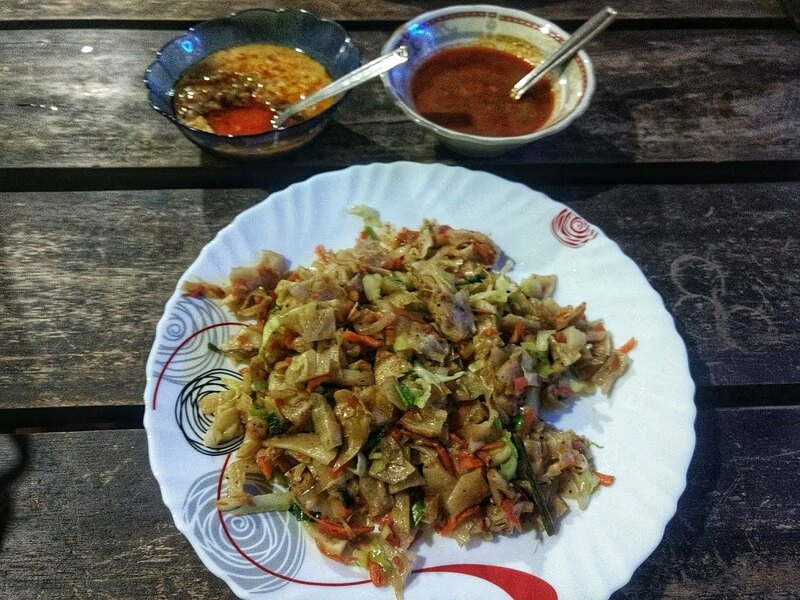 Kottu Roti. It’s a tiny place with only two or three tables, so you will be lucky to get a seat! 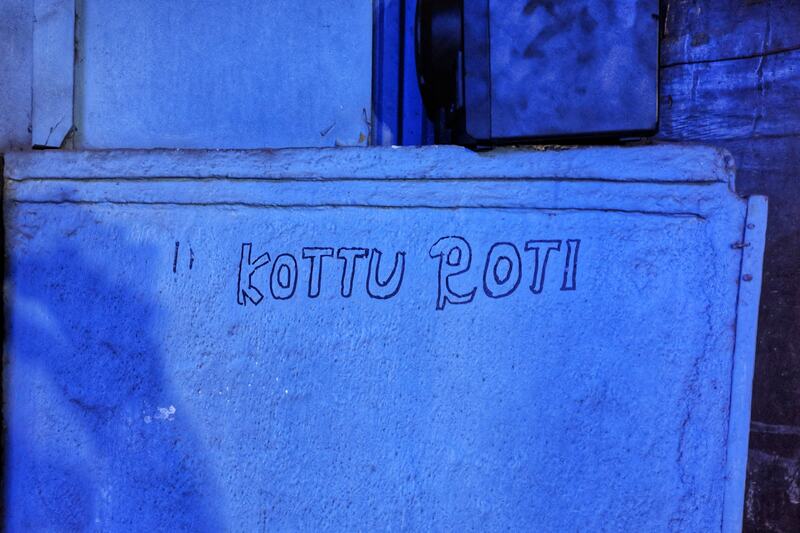 If you see this on the wall outside you’ve come to the right place! 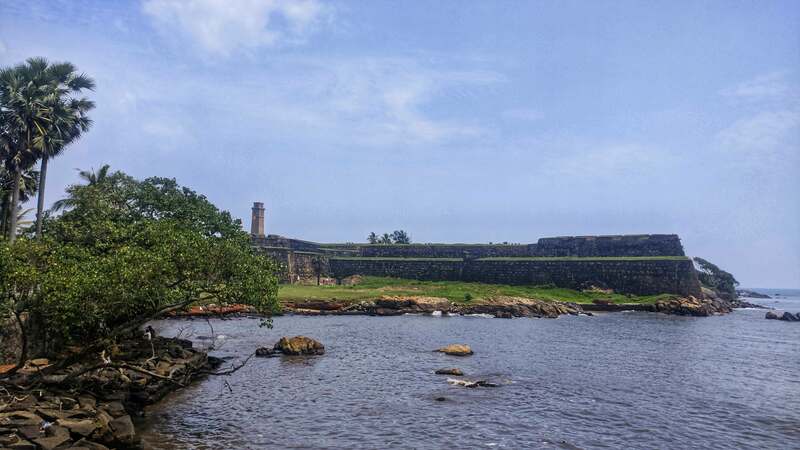 We made a day-trip from Unawatuna to Galle, to see the famous Galle Fort. Built by the Portuguese in 1588, it remained under their control until 1640, when the Dutch captured it. They then proceeded to extensively fortify it and make it their headquarters. When you get to the main gate there will be several tuk tuk drivers waiting to tell you “it’s too big to walk, I will bring you around”. Don’t listen to them, it’s easy to walk around here and it’s the most fun thing about this place. 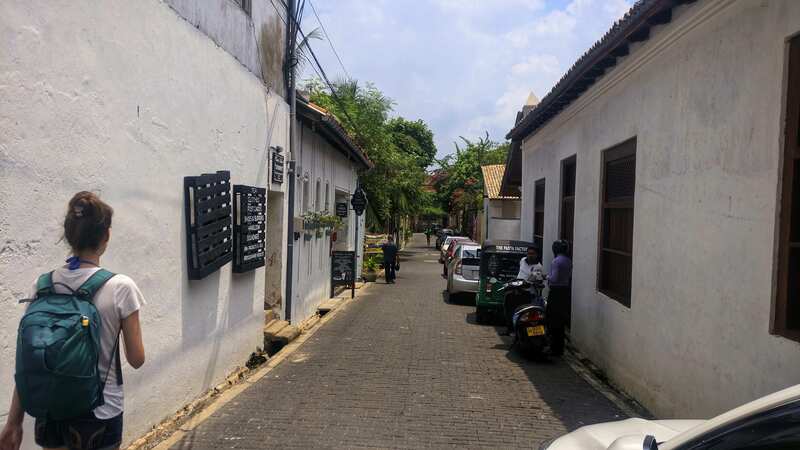 To me there are no stand out attractions in Galle Fort. The collective experience of taking the long way around and coming across the attractions in your own time is what makes visiting this place so enjoyable. 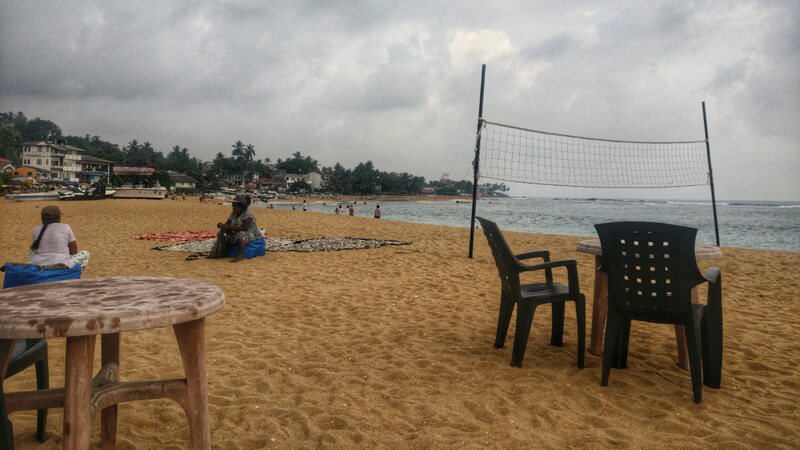 Two days in Unawatuna and Galle really isn’t enough, but we only had 10 days so we couldn’t stay any longer. Next we headed to the centre of the country to a small town called Ella, high up in the mountains. Its stunning views, waterfalls, tea plantations and hiking opportunities have made this one of Sri Lanka’s top tourist destinations.